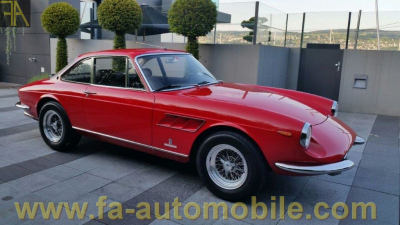 Magnificent 330 GTC finished in red with black hide to the interior. Originally supplied in silver, this European spec example has only two owners since new and is documented like we have rarely ever seen. Very important set of restoration records and low mileage in total. Matching numbers car, exceptional condition throughout. A true colelctor's piece with great history. Available immediately.